Caral Automotive have modified a number of customer's Elises into high performance Vee variants inspired by the Lotus Elise GT1 road and race cars of the 1990's. 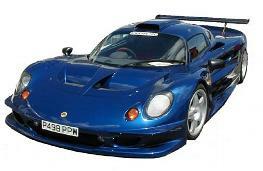 The original GT1 cars were built by Lotus to compete in the newly formed FIA GT1 Championship. 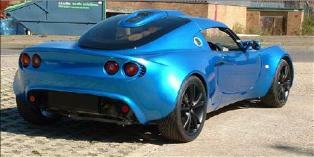 Built before the S1 Exiges they had project number 115 and were based on the standard Elise bonded aluminium chassis. Originally fitted with the Lotus 3.5l twin turbo V8 engine and Hewland gearbox, changes to the Championship technical regulations meant a change to the Corvette V8 engine to try and maintain performance against the offerings from Porsche and Mercedes-Benz. Despite achieving European type approval for the car, only one road car was ever built making it one of the rarest Lotus’ of all time. Although little known outside of enthusiasts circles, perhaps because of their limited track success, the cars still draw admiring glances when, on rare occasions, they are seen in public. 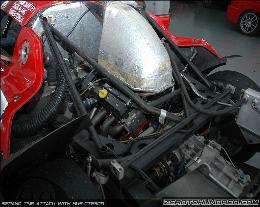 In 2002 Caral Automotive started work on a V8 conversion for the S1 Exige, using the Jaguar 4.2l V8 supercharged engine. 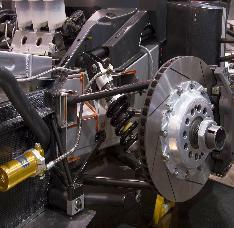 The wheelbase was increased by 305mm to allow fitment of the engine and a Getrag 6 speed gearbox using a new bolt on rear subframe, based on a car that was built at Lotus in 2001. In 2003 Caral Automotive built a one off car based on the S2 Elise incorporating a S1 Exige hardtop and engine cover and fitted with a GM 3.0l V6 engine modified by Swindon Racing Engines. 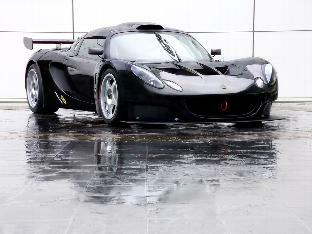 In 2004 following work carried out by Caral Automotive, a new version of the GT1 car was commisioned by Proton Motorsport in Malaysia based on the new Lotus Exige S2. The Lotus Exige Sport was built to FIA GT2 technical regulations at Lotus Sport with Simon Scleater an ex-Lotus Sport Manager and Caral Director as Project manager. Based on the same dimensions as the Caral S2 Elise car and the use of the GM 3.0l V6 engine the car was unveiled at the 2005 Autosport show in Birmingham. Key suppliers to the project included Pilbeam Racing Designs, Swindon Racing Engines, Hewland Transmissions, Racing Technology Norfolk, AP Racing and Ohlins Dampers. Only one car was built, but with an unrivalled knowledge of the car's design, construction and suppliers, Caral Automotive are able to supply a conversion for Exige S2 owners looking to own their own Lotus Sport Exige. Engine choice is limited to the Hartley V8 or GM Alloytec V6 engines, but apart from this car's are built to customers specification. Please do not hesitate to contact us to discuss your requirements, or click on the logo to send us an email message.